Few professions offer excellent wages, opportunities for advancement and the promise of lifetime employment. No profession or individual job can guarantee long-term employment, but positions in fields with growing opportunities offer at least the hope of continuing service. Accounting is one of these fields. Accountants are found in government, business and non-profit organizations. Accounting firms employ thousands of professionals in a variety of specialized fields, including tax accountants and auditors. Accountants keep an eye on company operations. They review records and verify their accuracy. They calculate taxes, ensuring all monies are paid on time and paid correctly. They analyze and evaluate financial information, verify internal control systems and attempt to safeguard against mismanagement, fraud and waste. Accountants confirm companies are compliant with corporate rules and government regulations. Auditors, a special field of accounting, review and assess records for truthfulness, correctness and compliance. General accounting and auditor jobs are expected to grow by approximately 18 percent through 2016, faster than the average for all occupations tracked by the Bureau of Labor Statistics. Professional certificates increase the expertise, skills and employability of accountants. Auditors with two years of experience are eligible to sit for an exam and receive the certified internal auditor, or CIA, designation. Many accountants take a series of tests to obtain the certified public accountant, or CPA, designation. The tests are administered by the American Institute of Certified Public Accountants. Average starting salaries for accountants range from $40,000 to $57,000. Individuals with a graduate degree and/or CPA certification can anticipate an additional 10 to 15 percent. The median or average annual wages for accountants and auditors as of May 2008 was $59,430. Assuming a bell curve of salaries, the middle half of the job curve earned anywhere from $45,900 to $78,210. The bottom 10 percent earned around $36,720 and the top 10 percent earned about $102,380. The salary survey was conducted by the National Association of Colleges and Employers. The average salary for tax accountants, based on a survey of 1,641 respondents as of June 12, 2011, was $34,912 to $65,595. The salary range for some of the largest employers include PricewaterhouseCoopers, $40,863-$56,951, Ernst and Young LLP $44,644 to $72,000 and Deloitte Tax LLP $48,322 to $104,296. The salary range for auditors, based on 2,434 respondents as of June 6, 2011, was $34,302 to $70,761. The range for the firm Ernst and Young was $45,344 to $68,880, PricewaterhouseCoopers $47,612 to $69,381 and Deloitte & Touche LLP wages ranged from $47,319 to $65,220. 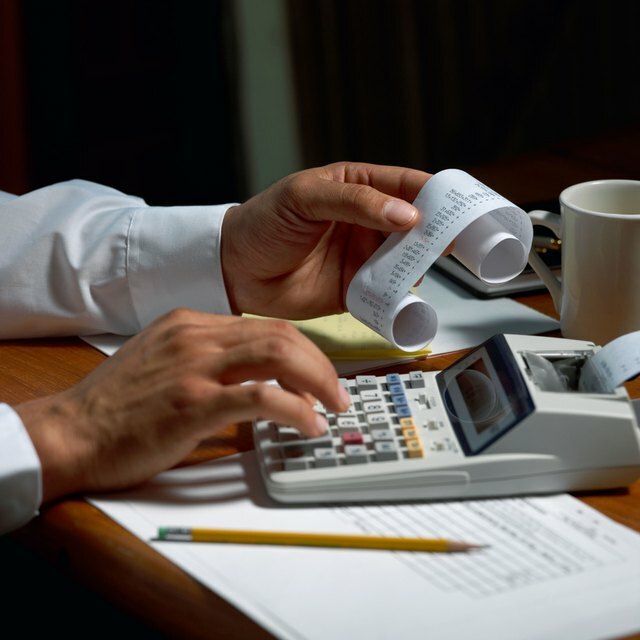 Who Makes More Money: Tax CPAs or Auditor CPAs? The evidence does not clearly answer the question of which specialized accounting field makes more money. The data indicates auditors may command more money initially, but the range for tax accountants is broader and higher at the upper end of the bell curve.